As the year slowly winds down, your social calendar begins to fill up and you go in even greater search of products that will keep your skin looking its best. You’ve got to keep up appearances, after all—and TheBeautyPlace.com is making it exceedingly simple to do exactly that. The company is excited to introduce a slew of the hottest and most engaging beauty brands to its ever-burgeoning collection of fabulous finds. The darling of the beauty world, Embryolisse was born in 1950. In its earliest days, it was sold on French pharmacy shelves and proudly scooped up by women the world over who considered it their little beauty secret. Fast forward to 2018, and the brand is practically synonymous with perfect skin. The line’s best selling Lait Crème Concentre is a lightweight emulsion enriched with shea butter to instantly drench skin with moisture. Formulated to soften on contact, it leaves skin feeling buttery soft. If you’ve tried just about everything in existence in your efforts to smooth the fine lines and wrinkles developing beneath your eyes, it’s possible you haven’t yet met SiO Beauty. The collection is packed with potent patches designed to minimize those pesky, visible signs of aging overnight—and giving you the youthful visage of your dreams. You’ll find treatments for smile lines, under eyes, the neck, and the face. If your dream is to achieve a healthier complexion using intuitive products that truly get your skin, you’ll find the answer in Neova. The line is designed to deliver serious results, no matter what your need—smoother skin, a softer finish, or firmed up fine lines and wrinkles. The advanced products are enriched with potent ingredients, like copper peptides, plankton extract, and glycolic acid. You may have noticed a sudden interest in beautiful gemstones lately—however, none of them are being used in the traditional way. Jade Roller Beauty introduces a collection of stunning beauty tools made with authentic jade stones. They’re designed to stimulate blood flow, improve the skin’s tone, diminish the look of fine lines, and detoxify over time. Beyond these benefits, gliding jade over the skin is a pampering, soul-soothing experience. Empower your beauty routine with these intensive products formulated to transform your skin—and renew your spirits. Correct your cleanser: In the summer, we like reaching for heavy-duty cleansers that ensure salt & sand stay on the beach and out of our pores. In the fall, you’ll want to switch to something gentler like this PCA Skin Creamy Cleanser . Packed with beneficial oils like rosehip (a Kate Middleton favorite) and omega-6 essential fatty acids, this formula will remove dirt without stripping skin. Peel away: Forget diamonds—chemical peels are your new best friend. While you should be careful not to over-exfoliate during colder months, you should add this Peter Thomas Roth FirmX Peeling Gel to your lineup once a week. This gel uses a combination of pineapple & pomegranate enzymes that lifts away dry, dead skin to prevent clogged pores. Just be careful not to scrub too hard! Tone and balance: After months of sun exposure, this Obagi Nu-Derm Toner will help restore your skin’s natural pH level. Unlike most toners, this product features a natural astringent instead of alcohol, which can overdry skin. Aloe and calendula soothe & smooth skin as witch hazel tightens pores without over-drying your complexion. Add a serum: Most people try to avoid extra oil in the summer, but it’s about to make a comeback. To build up your skin’s natural defense against the elements, we suggest using bareMinerals Eternalixir Skin-Volumizing Oil Serum. The calcium-rich concoction enhances your moisture barrier and fights signs of aging with nourishing botanical oils. Be sure to take this product down your neck, as well. Thicken your moisturizer: Though it’s hotly contested, moisturizers should follow after serums! At night, show your skin some love with a generous coat of this Peter Thomas Roth Camu Power CX30 Brightening Moisturizer . This product is loaded with a superfruit called the Camu Camu berry, which packs 30 times more vitamin C than your average orange. This is crucial during sun-deficient seasons to maintain collagen production and iron absorption.
. Having dry skin can be itchy and uncomfortable, so this mask was formulated to provide instant relief. Leave on for 10-20 minutes before going out, keep it on overnight, or slick on during a long flight to arrive glowy & soft! Saying goodbye to summer is already hard enough—we hope this guide helps you winterize your routine with ease! It is no secret that the most successful people in the world, celebrities included, are early risers—some even wake up as early as 5:00 AM like Jennifer Aniston! Getting out of bed while it is still dark out is definitely the challenge, but it allows people to get ready at their own pace and also get a quick workout session in before the day starts. While a lot of celebrities say that meditation and coffee is an essential start to their day, skincare products are what they really cannot live without. To get inspired, we have found the top celebrity morning routines that are surprisingly simple and therapeutic so you can also take on the day like a star. Before starting her makeup routine in the morning, Kate Bosworth cleanses her face with an herbal cleanser because it is gentle and natural. We recommend using Neova’s Herbal Wash as it is a soap-free, gentle wash that works well at removing any oil and debris from the night before. Formulated with chamomile extract to help decongest clogged pores and peppermint oil to soothe the skin, this cleanser is especially great for sensitive, acne-prone skin types. 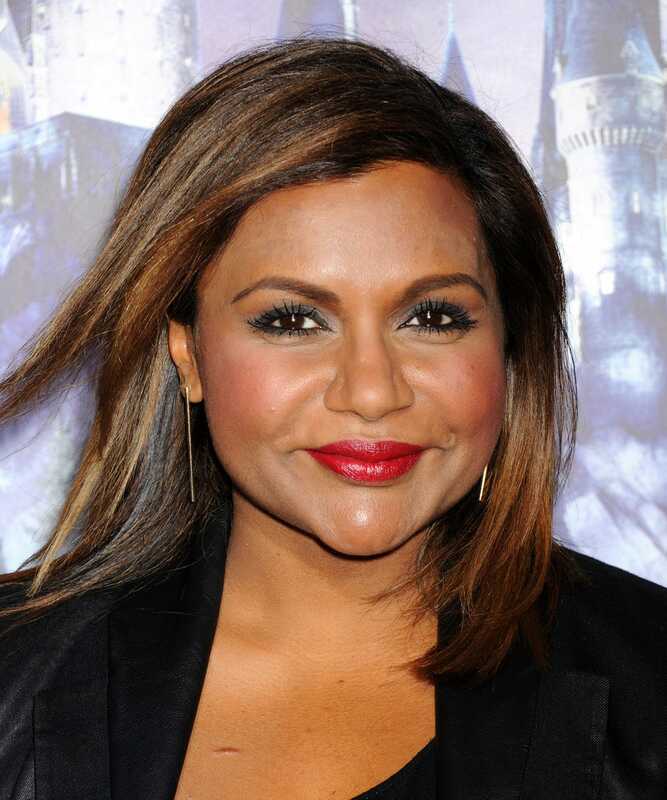 If your skin is looking particularly dull when you wake up, do what Mindy Kaling does and use a sheet mask in the morning! Decleor’s Aroma White C+ Intensive Brightening Sheet Mask instantly rejuvenates the skin by adding luminosity and decreasing hyperpigmentation. For an added bonus, chill the mask in the fridge like Mindy before applying. Using a cold product on your face will tighten the skin and brighten the complexion by boosting circulation so it is a win-win. When you are more crunched for time, sheet masks may not fit into your schedule so opt for a regular face mask like Martha Stewart. Even though she accomplishes a lot in the morning, she always has time for a face mask. Martha told the New York Times that she puts one on every morning for five days a week, but she never repeats the same mask two days in a row. She uses a variety of face masks, from firming to gel to collagen, so we recommend trying out Peter Thomas Roth’s Meet Your Mask Kit since it offers six different masks in total. It includes a purifying mud mask, a detoxifying cucumber gel mask, a rose stem cell repair mask, a pumpkin dermal resurfacing mask, a 24k gold firming mask, and an algae hydrating mask so can tackle any skin problems throughout the week. Even though it seems like celebrities wake up flawless, do not be fooled. They deal with puffy eyes like the rest of us do, which is why they have a fool-proof weapon: a Jade Roller . Lea Michele, among many other celebrities, uses this tiny tool religiously to get rid of puffy eyes, as it reduces inflammation via lymphatic drainage. Use it cold to reduce swelling even quicker. It will make you look and feel more alert in the morning, helping you to put your best foot forward. With Mother’s Day right around the corner, it’s time to begin the search for the perfect gift. We’ve narrowed it down to the seven most indulgent products that will make her feel like the queen that she is. All of these skincare products have been favorited by celebrity moms so rest assured your own mom will be receiving the star treatment this year. If your mom is into natural and organic skincare products, then Avene Thermal Spring Water ($16.99) is the way to go. Effective at calming itchy and red skin, this soothing mist excels in replenishing moisture back into the face. Gwyneth Paltrow, who loves holistic healing and detoxifying treatments, considers this water one of the best French beauty products in the market. She says it works as both a quick refresher on a hot day and helps set makeup. Although Kelly Rutherford is almost 50 years old, her skin still looks flawless. Her secret? Peter Thomas Roth’s skincare products, which she’s been using since her twenties. Aside from applying sunscreen, she advises to invest in good skin products and wash your face nightly—advice handed down to her by her own mother. We recommend Peter Thomas Roth Cucumber De-Tox Foaming Cleanser ($18.99) because it’s great for all skin types. It’s effectively sweeps away dirt yet still nourishing as it supplies the skin with vitamins and aloe. When she’s not caring for her son or working on a project, January Jones loves to take moments for herself by doing treatments at home. In fact, she prefers to do those then get a facial done because she finds it therapeutic. The actress first uses Avene to cleanse her skin, then she follows up with Dermalogica Gentle Cream Exfoliant ($35.99) because “you look so shiny and new after you use it.” The two-in-one exfoliating mask really does help the skin look brand new because of the natural fruit enzymes that help stimulate cell renewal from within. Convenient and easy to use, GlamGlow Gravity Mud Firming Treatment ($55.99) is an amazing mask for sculpting the skin without any cosmetic procedures. The product gives the illusion of a face lift as it instantly firms and tightens the face. All your mom will have to do is watch as it turns from white to chrome and then peel it off. Used by Cat Deeley, among many other celebrities, this product will give your mom the Hollywood treatment. Sienna Miller’s skincare regimen often consists of freezing ice masks “that make you feel as if your brain is going to fall out of the top of your head.” Fortunately, you can get your mom something even better that won’t leave her with a brain freeze: SkinCeuticals C E Ferulic ($160.99). When Sienna is not getting an intense facial massage, she maintains the glow at home everyday with this product. Fortified with vitamin C and ferulic acid, this powerhouse serum works to diminish the appearance of wrinkles while brighten the skin’s complexion. Another excellent serum you can get your mom is Dr. Brandt’s Do Not Age Transforming Pearl Serum ($79.99). In an interview with Harper’s Bazaar Magazine, Madonna said she loves how tight her face felt after applying more than she probably should. The award-winning serum fuels the skin with vital energy, helping restore the look of firmness for a more youthful appearance as the Queen of Pop knows all too well. Original supermodel Cindy Crawford has always had to take care of her skin as part of her job. Now as a mom to a rising supermodel, she has shown her daughter all the best products. Jane Iredale Loose Mineral Powder ($34.89) makes the cut because Cindy feels “like you can’t mess it up” since it doesn’t streak and it’s really easy to use. We couldn’t agree more—your mom will love this product if she’s not into heavy makeup but likes an all-over even finish. How to Get Rid of Dull Skin—Just in Time for Spring! After a long winter, it wouldn’t come as a total shock if your skin seemed a little sallow and lackluster. Whether you spent months cooped up inside or just haven’t soaked up much sunshine lately, we have the solution for you. Here are our suggestions for eliminating that dull skin just in time for spring. No question about it: Dull skin needs exfoliation. The problem is that dead skin cells collect on the skin, disturbing the natural appearance of a healthy visage and instead contributing to the slightly washed out look you’re trying to avoid. Unless you get rid of the cells that don’t naturally come off on their own, you won’t be able to truly enjoy that healthy glow. Try La Roche-Posay Physiological Ultra-Fine Scrub ($15.99), a gentle exfoliate that minimizes buildup without causing irritation. Don’t make the mistake of using the wrong product when you cleanse your face. Some are so harsh that they can cause dryness, while others just aren’t effective enough to target your specific concerns. Revision Skincare Brightening Facial Wash ($28.99) is formulated to rid your skin of impurities, dirt, debris, and makeup while smoothing rough spots. The result is a more refined complexion that glows. Masks are everywhere these days, of course, and it might be overwhelming to choose the perfect one if your goal is strictly to get rid of dullness. To the rescue comes Peter Thomas Roth Brightening Bubbling Mask ($34.89), a deeply nourishing treatment that provides the kinds of results you’d expect at a spa. Simply smooth it on for a near instantaneous boost. It’s filled with free radical-busting antioxidants that leave skin looking more youthful and healthier. While it may seem counter-intuitive to use a heavy-duty facial moisturizer when the weather is finally warmer, it’s actually what many of us need to rescue our skin from a season of complete dullness. The reason is simple: the more moisture your skin needs, the more tired and sallow it looks. Your skin essentially appears thinner and less lively, resulting in that less-than-healthy look you’re sporting. Try PCA Skin Collagen Hydrator ($28.99), which contains soothing almond oil, shea butter, and olive fruit oil. The trio pack a punch and deliver much-needed moisture on contact, giving your skin that healthy glow you’ve been craving. Another reason your skin might be looking a little less than fab lately is because your body is producing less collagen. That’s one of the unfortunately natural downsides of aging, but there are tons of fantastic collagen-boosting products out there that actually work. One we love is PCA Skin Intensive Brightening Treatment ($55.99). It’s enriched with retinol, which helps protect your existing collagen and boost the production of new collagen—in other words, your skin will look a lot healthier if you use it. Are you doing all that you can to love your skin—when it matters the most? Although it may seem that your entire body checks out when you finally fall into bed at the end of the day, the truth is that your skin is only just getting started. During the overnight hours, your skin goes into what’s commonly known as “recovery” mode, when it starts to repair and renew after a day spent exposed to the elements, dirt, debris, and makeup. Part of that is due to the body’s increase in melatonin, which makes you feel tired and helps your skin improve its condition. It even helps minimize the damaging effects of exposure to harmful ultraviolet rays! Your human growth hormone (HGH) also goes into overdrive at night. You can thank HGH for improving your cellular turnover rate and improving your skin’s ability to heal. And finally, nighttime is the right time to give your skin the targeted treatment it needs—because those hours are when your skin is most responsive to what you use. Dr. Brandt Do Not Age Beauty Sleep Serum ($59.99): Serums are genius products to use at any time of the day, but your skin will love using this lightweight formula when the sun sets. It contains Tahitian black pearl extract, which is designed to detoxify the skin—also known as sucking away all of those impurities that threaten to clog pores, cause breakouts, and leave your complexion looking tired. Used daily, it will also soften your skin and improve its tone. Peter Thomas Roth Camu Camu Sleeping Mask ($31.79): You’ve heard all about the benefits of ingesting superfruits, but did you know they’re pretty super for your skin, too? This indulgent mask contains camu camu berry, which is hyper-charged with vitamin C to minimize the appearance of fine lines, wrinkles, and other signs of aging. At the same time, this mask also softens skin to leave you feeling smoother and looking brighter come morning. GLAMGLOW Dream Duo Overnight Transforming ($46.39): For those who enjoy the beauty of convenience, this product has you covered. It includes a “dream serum,” which sinks right into your skin and contains an elevated infusion of vitamins formulated to smooth and brighten a sallow complexion. “Dream seal,” meanwhile, locks in the potency of the serum with a potent combination of hyaluronic acid and mozuku green algae, which work in tandem to plump up aging skin and leave it fresher and more moisturized. It’s no secret that one of the perks of being a celebrity is receiving a ton of free products. From skin creams to masks, celebrities probably have a huge array of luxury items to choose from. But have you ever wondered what they actually use in their routine? We’ve discovered five celebrity favorites you can incorporate into your own skincare regimen that surprisingly won’t break the bank. Getting red-carpet skin is easier than you might think! Everyone needs a good cleanser on hand, especially actresses who have makeup caked on their face all day long for filming. Lea Michele already knows this quite well, which is why she uses iS Clinical Cleansing Complex ($31.89). This gentle, yet clarifying cleanser works double duty as it gets rid of pore-clogging gunk with salicylic acid while also healing skin damage with three types of vitamins. Michele told InStyle she uses this cleanser because it “takes off everything without being too harsh.” It’s no wonder her skin is so Glee-fully clear. If you feel like you’re not getting a deep enough clean, it’s time to bring in a face brush. The Clarisonic Mia Fit Sonic cleansing device ($146.99) is a game-changer: It removes up to six times more makeup and debris than cleansing with your hands alone. Rosie Huntington-Whiteley said in an interview with Byrdie that one of her favorite things to use is the Clarisonic since “it’s great for really, really cleaning the skin of any makeup, impurities, or any dirt that has built up throughout the day.” The former Victoria Secret bombshell pairs the brush with the iS Clinical Cleansing Complex. You don’t need a $200 face mask to give yourself the Hollywood treatment—and apparently neither does Khloé Kardashian. The reality star revealed to Us Weekly that she turned to Bliss Multi-’Face’-Eted All-In-One Anti-Aging Clay Mask ($30.99) once a week to detoxify her skin, claiming that “just seven minutes a week in this mask will do your face years of good.” Packed with skin-renewing ingredients such as glycolic acid and quartz, this mask definitely has us agreeing with her! Last, but certainly not least, every star knows how important it is to defend against the aging effects of the sun. There’s one sunscreen that keeps popping up in our celebrity radar, and that’s Elta MD UV Clear Broad-Spectrum SPF 46 ($25.49). Ideal for acne-prone skin, this sunscreen reduces hyperpigmentation while relieving irritation and redness caused from blemishes. A few celebrities who use this SPF include Mindy Kaling, Kourtney Kardashian, and even Zac Efron. If nothing else convinces you to wear sunscreen…do it for the love of Efron. “Wear sunscreen every day, please. No amount of sun is safe, in my opinion,” he advised Refinery29. Can’t say no to that. As modern women, we are in a constant hustle! There’s always a thing to do (sometimes a thousand), a meeting to attend or something new to solve. Anyways, we’re always in heavy motion! However, we never loose our women instinct, as we constantly want to keep our nails neat, our hair shiny and our clothes on point. But unfortunately, with all those things in our mind, sometimes we might forget to take care of our skin, which deteriorates with constant exposure to the sun, pollution and the inappropriate use of make up. We understand that with a very busy agenda, it results almost impossible to schedule a monthly visit to the spa, but we’re here to help! We’ll show you a series of steps and recommendations so that you can easily enjoy a spa day at home –yes, it is a good as it sounds! The first step to any relaxing spa day is setting the mood. Tuning into your favorite relaxing Spotify music station and lighting your must have candle, is key. A Nest Classic Candle will transform your bathroom into a relaxing haven. Properly remove your entire make up: This is the first step and one of the most important to maintain a healthy skin and of course, we couldn’t exclude it from our spa day! The skin on our face is extremely sensitive, which is why we must remove our makeup with products that also eliminate all impurities and don’t mistreat our skin. If you’re looking for the right product, Jane Iredale’s Magic Mitt ($13.99) is an excellent choice; it is the kind of make-up remover that doesn’t require the use of any other additional products. With the Magic Mitt, we’ll only need to rub the cloth with kindness on our face and Voila! Magic Mitt not only cleans our skin, but also makes a subtle exfoliation. Wash your face: After removing all of our make-up, it is essential to use a good cleanser to make our face look and feel 100% clean. However, we must select a product that will ensure it will remove any makeup residue and that is appropriate for our skin type. By applying the SkinMedica Facial Cleanser ($23.99) in our face, we’ll achieve a much more moisturized, smoother and cleaner skin. This soap is recommended for any type of complexion. In addition, its formula contains green tea that gives an air of freshness to our skin. Now, it is time for a facemask! No spa day is complete without masks since we love the fact that right after applying them, we can see immediate positive results on our skin face. For a rejuvenating and revitalizing effect on our skin, we recommend the Peter Thomas Roth Un-Wrinkle 24k Gold Sheet Mask Mask ($49.59). This mask has become very famous because of the fact that in only 15 minutes, it gives a more youthful appearance to our face. Moreover, it is specially designed to conceal lines of expression and bring shine and softness to the skin. If you want another option, the Dr. Brandt Oxygen Facial Flash Recovery Mask ($47.99) offers a different kind of results since it focuses on helping our skin to absorb the oxygen better, purifies the face by eliminating toxins and it protects you from those agents that can contaminate your skin. Sounds great right? Trust us, it is amazing! Apply some toner: Many people think that applying toner to our face is not very important, However, it turns our that applying toner is one of the most important steps in order to get a healthy skin. Toners revitalize and rejuvenate our faces while it closes the pores, restores the pH, moisturizes and refreshes the skin. Don’t worry if you ever though toner wasn’t important, that’s why we want to recommend the Bliss Steep Clean Pore Mattifying Toner Pads ($27.99) for this important step on our home spa day. These easy-to-use pads purify the skin, remove dead skin cells and reduce pore size thanks to the combination of enzymes and acids contained on its formula. They are recommended for any type of complexion! Lets moisturize! Last but not least, let finish our home spa day session by applying a good moisturizer. Avene Hydrance Optimale Light Hydrating Cream ($18.99) will nourish your skin to the fullest without leaving a greasy appearance. This product prevents the dehydration of your skin and eliminates excess glitter and oil. It’s just what we need to pamper our skin! Having a spa treatment has never been so easy! Remember to follow each of these steps to get magnificent results on your face. You’ll see how your friends will want to join you on your spa days at home after they see your skin looking bright and vibrant!